So I have been a fan of Linkin Park since I can remember. Needless to say that Linkin Park was one of those bands that I looked to to explain the feelings that I couldn't say with my own voice. From "Numb" to "Somewhere I belong" to "In The End" and "Breaking The Habit" I love them all. However when I stopped listening to them for a while and then got a nibble of their new stuff I wasn't sure about it. It was definitely a huge change. The band members are still the same but the music has a new type of twang to it if you will. I think what through me off is the melody of the songs. There are new components to them and it seems like there was even some of that old street music type thing. After listening to this song I became hooked again. 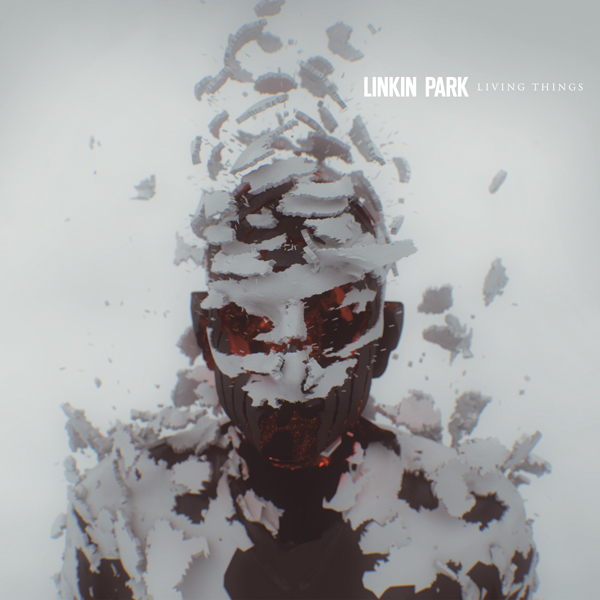 I bought their album "Living Things" and listened to it song by song. Now not too much has changed as I thought but there is something new about them. I realized that in time the bands that are good tend to evolve a bit more out of their regular genres however this may not be true in all cases, I do have to say that this sometimes happens a lot. When I first heard the song "Lost In The Echos" I'd about fell out of the chair. While the music is a bit different, the lyrics were all the same. A lot of people had accused Linkin Park about being a band that just whines for attention and blah..blah..blah, but the issue is that someone feels and I mean truly emotionally feels what they are saying. Who is to say that they are not feeling what they are singing? Now the band said that this hour is basically years of experimenting. A mix between the old and the new to create this new sound. The albums title is based of numerous personal topics on the album. I think that this title is a good title for this because after the listening to the songs, it's like they are telling stories of different people. I can't say for certain who's story it is and maybe it's your own but the truth is we never know. I think what is remarkable about this album is that I can relate it to situations that are occurring as I type this but we won't get into that. The vocals is powerful. I don't know how Chester does it but he always seems to bring the stories to life with this voice and that is key in a band but what makes the band is the band itself. I find it intriguing with the new sounds and beats. It's like getting your favorite candy. Of course listening to songs, there is the occasional moment when a certain line from the song sticks out among all the other lyrics. I know plenty. I'm not sure why this happens but I think that it triggers something in our brain and we end up thinking of something in the past or something that is happening now. This sticks out more to me because I find it to relate to my personal life. Linkin Park looks at the world as a whole and takes in all the forms of life, and what emotional roller coasters people go through each day by day. Living things shows that and exposes the dark sides of the world but never fear because there is a glimmer of hope on this album with the song "Roads Untraveled." I have to say that Mike Shinoda's raps are still ever so classic. Of course the band wouldn't be complete with out everyone else! The band makes the band. The band still has all the original members which is good because it shows that they are serious about what they do. Dave took a break fro awhile but came back in 2001. Rob, Dave, Brad, and Joe, you guys keep doing what you're doing because not matter what people say you are the foundation of this band. I thought I had heard this before somewhere. While the it's not an exact copy from the Robert Frost poem, it's still the same meaning. I am not bashing them but in fact praising them and why shouldn't we? The song just says that we should not mourn or be depressed over the roads we didn't take because for all we know it's for the best that we took the road we did now. The song covers a wide range of subjects and that's what makes this song so beautiful! And in time you'll be glad it's gone"
So while people may not like the album Living things for it's new taste I found it completely beautiful. The album is a spark of new life for the band mixed with their old one. I give this album a 10 out of 10. I guess it goes to show you that you can never judge a book by it's cover...or in this case an album by just one song.